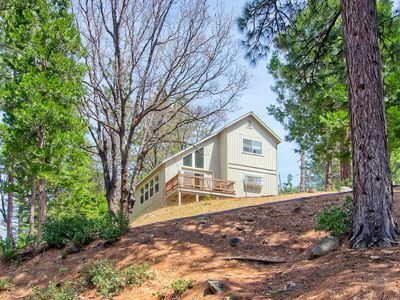 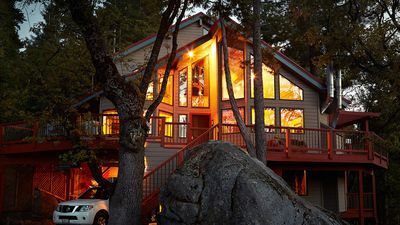 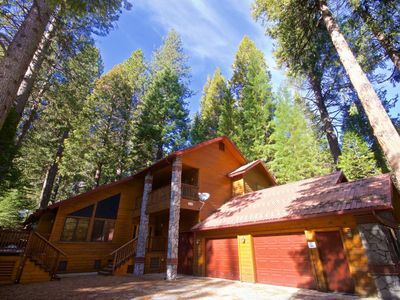 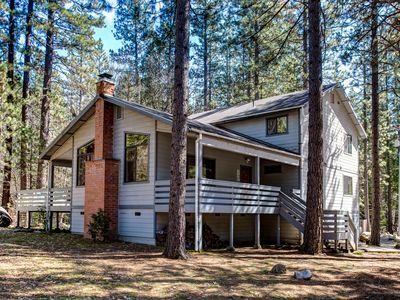 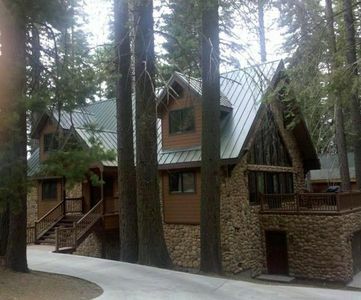 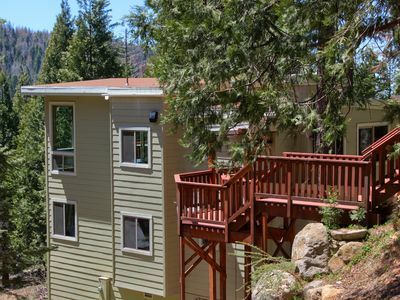 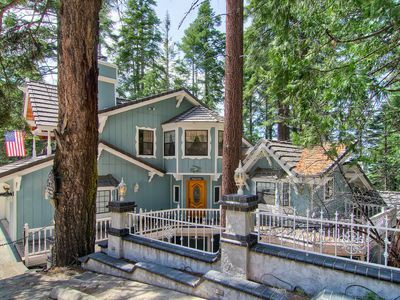 Perched high in the pine trees, is the other half of the Sport Chalet duplex. 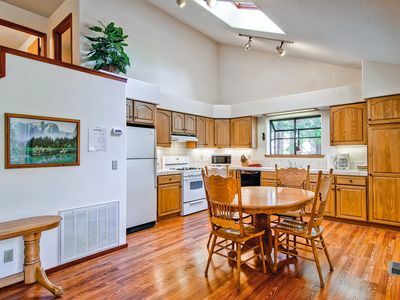 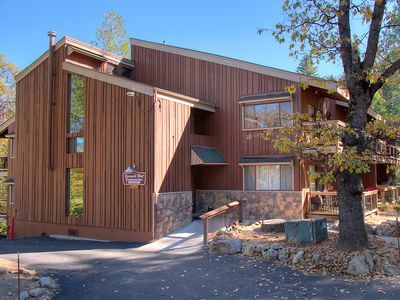 Here you will be relaxing in a very roomy, split-level, private 2-bedroom 2-bath property which comfortably sleeps 6. 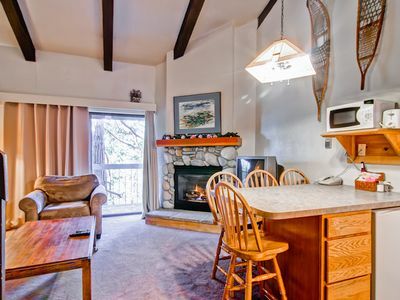 This unit has a granite rock wood burning fireplace in the living room, with TV/DVD Satellite. 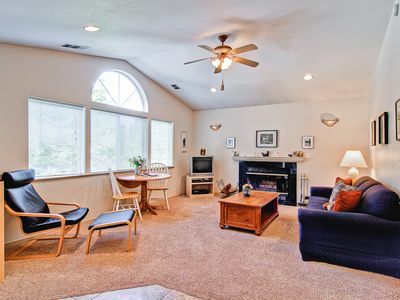 Each bedroom has a queen bed, and there is a queen sofa bed in the living room. 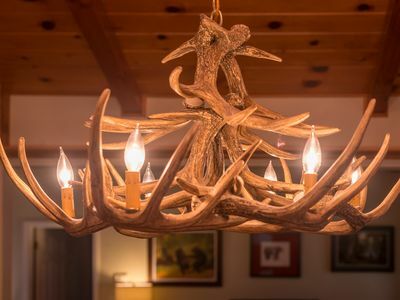 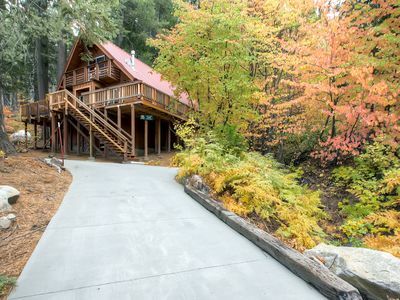 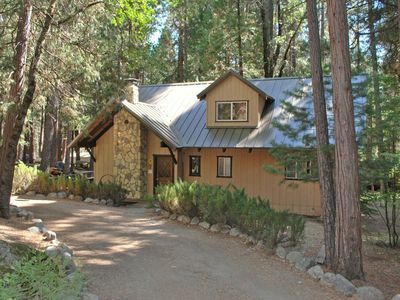 Due to Little Sports unique mountain terrain, this property has 56 steps leading up into its main entrance. 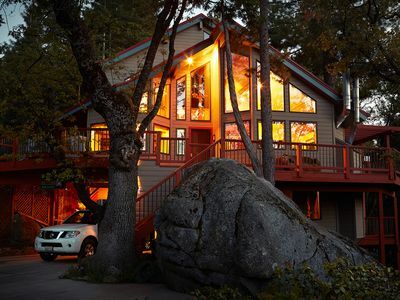 For most people, this is not a problem and is well worth the climb. 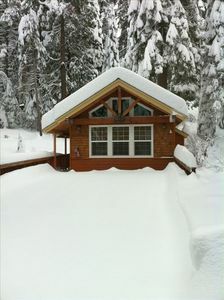 There is 2 parking spots all year, sometimes 1 over winter months. 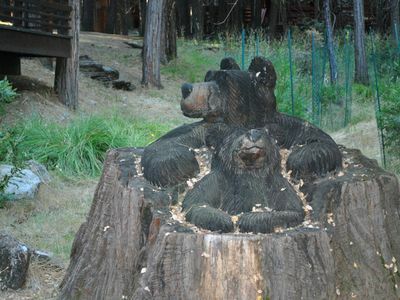 Larkspur Lair - Get Your Nature On! 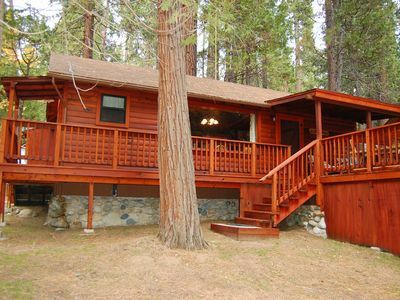 Enjoy Yosemite In Peace And Comfort. 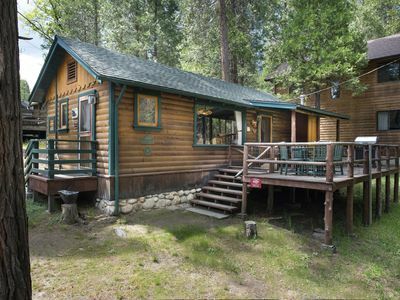 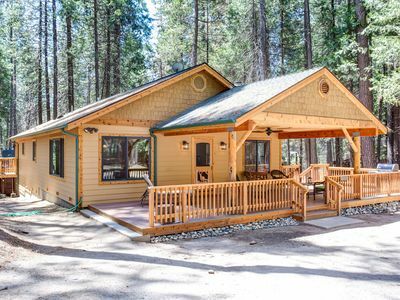 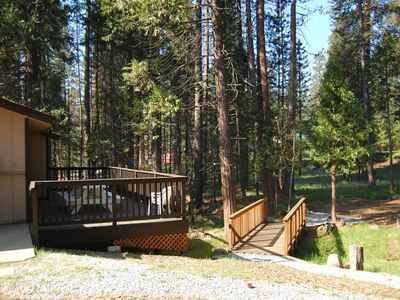 Cabin Among the Firs - Get Your Nature On!